The increasingly autocratic government of Turkey has lost its mind. Or, at least, it has returned to its historical form. Under Turkish strongman Recep Tayyip Erdogan, the country has slipped away from a nascent form of democracy into an autocracy informed increasingly by Islamism. Whereas Turkey was once a bulwark against Soviet Communism in southern Europe—a secular power run by pro-Western leaders increasingly seeking to become enmeshed in the Western socioeconomic system—since Erdogan’s rise, Turkey has sprinted as far away from Europe and the West as possible. Now, Turkey exists as just another dictatorship in the Islamic World. Truth is, Turkey and the West were always allies of convenience. When push-came-to-shove in accepting Turkey into the EU, Brussels opted to push back against Turkey’s membership until Ankara met certain political conditions. By that time, though, Erdogan had already begun his rapid Islamization of the once-secular Turkey. No compromise could be brooked. Turkey also rankled the West when it continued zealously to hold influence over northern Cyprus. The government of Turkey also clashed routinely with those in the West who (rightly) supported Kurdish independence (at least in northern Iraq). Turkey was so concerned that the United States ultimately would grant the Kurds of northern Iraq a state after they toppled Saddam Hussein’s government, that Turkey—a fellow NATO ally—refused to allow American military units to use Turkish territory to conduct offensive operations against Iraq. Meanwhile, Turkey made overtly corrupt alliances with leading figures in Iran, in a bizarre oil-for-gold scandal. From there, elements of Erdogan’s government began funding disparate Salafist groups—even ISIS at one point—in an attempt to topple Arab strongmen. The reason? Erdogan fancied himself a new Ottoman sultan and was keen on reconstituting the old Ottoman Empire that once spanned the Islamic World (at least the Middle East and North Africa). This ideology became known as “neo-Ottomanism.” As ethnic Turks and Sunni Muslims, Erdogan and his fellow neo-Ottomans believed that only they had the ability to unite the Islamic World under their leadership. The Obama Administration was wary of selling advanced American arms to Turkey—despite its position as the primary pillar of NATO’s southern defensive perimeter—because of Ankara’s quiet support for terrorist factions and its revisionist foreign policy. Thus, Turkey, which had already begun sending envoys to China and Russia to develop closer ties, redoubled its efforts to woo both autocratic states. Part of this move away from the West came in the form of Turkey’s acceptance as a dialogue member to the Shanghai Cooperation Organization (SCO) in 2016. For years, Turkey had flirted with becoming a member of the SCO but was prevented from doing so because Turkey was also seeking admission to the European Union. All of that changed in November 2016 when the European Union parliament decided to suspend negotiations with Turkey indefinitely. The moment that occurred, Turkey became a dialogue partner to the SCO along with Armenia, Azerbaijan, Cambodia, Nepal, and Sri Lanka. In 2017, Turkey was granted chairmanship of the SCO’s powerful energy club. Turkey is now holding captive an American pastor, Andrew Brunson, while insisting the Trump Administration grant sanctions relief to one of Turkey’s largest state-owned banks, Halkbank. The reason Halkbank was sanctioned in the first place was to punish the Turkish government’s aforementioned ties with Iran—despite the fact that Washington reintroduced sanctions on Iran for its continued development of an illicit nuclear weapons program last year. Bear in mind, Turkey is digging in despite the Trump Administration’s decision to abandon America’s long-time Kurdish allies (who did most of the fighting—and dying—in the war against ISIS) in order to placate the Turks. What Trump got in place of the Kurds was an ungrateful ally that continues terrorizing the Kurds; suborning Iran’s imperial aggrandizement; supporting terrorist groups; holding northern Cyprus hostage; all while empowering both Russia and China. Turkey has made its intentions clear: it is not a Western ally. Ankara does not seek to be a Western partner. If the West continues treating Turkey as though it were simply a wayward child rather than a rival, the West will continue to be undermined and embarrassed from within. Turkey is free to make alliances and conduct business with whichever country its leaders wish. 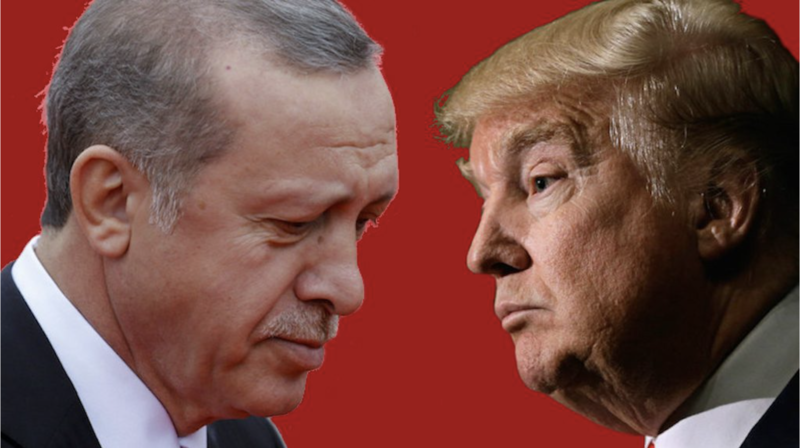 However, the United States does not need to continue giving Turkey a pass for its poor behavior because American leaders still delude themselves into believing that Turkey can be wooed. Turkey is an autocratic, non-Western state. It always has been. It always will be. It’s time to recognize that and act accordingly. Head over to the American Greatness website for more great content!